He was born May 28, 1940, in Lewis County, a son of the late Ollie and Lola Morgan Hamilton. 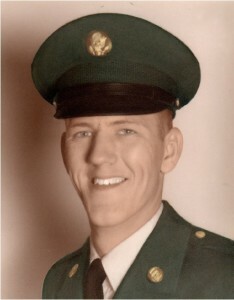 Robert proudly served his country in the United States Army during the Vietnam War with HQ Co. MACV and was stationed at Ton Son Nhut during 1963 and 1964. He worked various jobs during his life and was a lifelong farmer. Robert enjoyed gardening, reading, and going to Myrtle Beach with his family. Robert is survived by four sisters and two brothers-in-law, Barbara Leach of Conway, Arkansas, Betty N. Hamilton of Saint Ann, Missouri, Jane and Norman Potter of Quincy, and Sandra and Danny Welch of Rockbridge, Ohio; six nephews, Keith Leach, Gordon Leach, David Potter, Brian Potter, Scott Welch and Bradley Welch; and one niece, Betty Potter Moore. He also leaves many other family members and friends who will sadly miss him. Services will be held at 11:00 a.m. Saturday, January 30, 2016, at Globe Family Funeral Chapel in Garrison with Bro. Norman Potter and Bro. David Robirds officiating. Burial will follow in the Brick Union Cemetery in Lloyd with full military honors accorded by Portsmouth American Legion Post 23. Friends may visit from 6:00 p.m. until 8:00 p.m. Friday, January 29, and after 9:00 a.m. on Saturday at Globe Family Funeral Chapel, 103 Dudley Avenue, Garrison, Kentucky 41141.